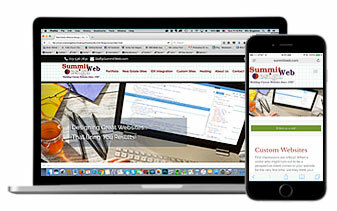 Summit Web Design has been hosting virtually all of our clients' websites for 2 decades now. The benefit to you as one of our clients is that "1 phone call takes care of it all" - if there is ever a problem with your website. As your designer as well as your host, we can quickly get to the bottom of what the problem seems to be. Keep in mind, we don't merely create your website and then move on to the next project while leaving previous client sites behind. We create sites and then we update them, fine-tune them, and continually tweak their design, layout, and content. While hosting your site, we never forget that our main job is to try to get you new business! Note: For real estate websites, our hosting package does not include the outside IDX vendor's fees for your MLS Property Search. Those fees are extra.